People love talking about the weather. How many times have you heard someone say “Crazy weather we’re having, hey?” in the past week (or said it yourself)? Weather captures the imagination. Because of that, we know a lot about it. And we rely on this knowledge to plan our lives, from the small things, like whether you should carry around an umbrella, to the big things, like if you can have you birthday party outdoors. But do you know where this knowledge has come from? 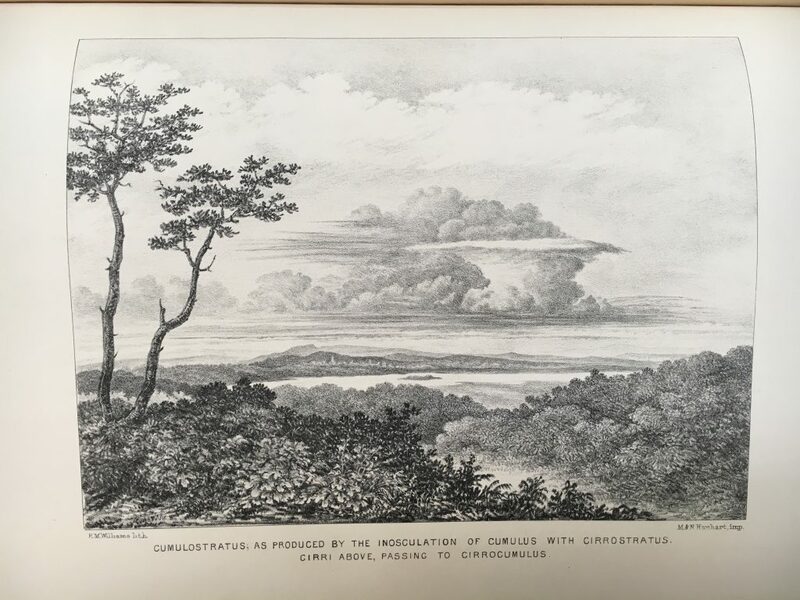 Our cataloguers have done an amazing amount of work uncovering the history of weather research and making it available to everyone. It involves storm maps, shipwrecks and, surprisingly, leeches. 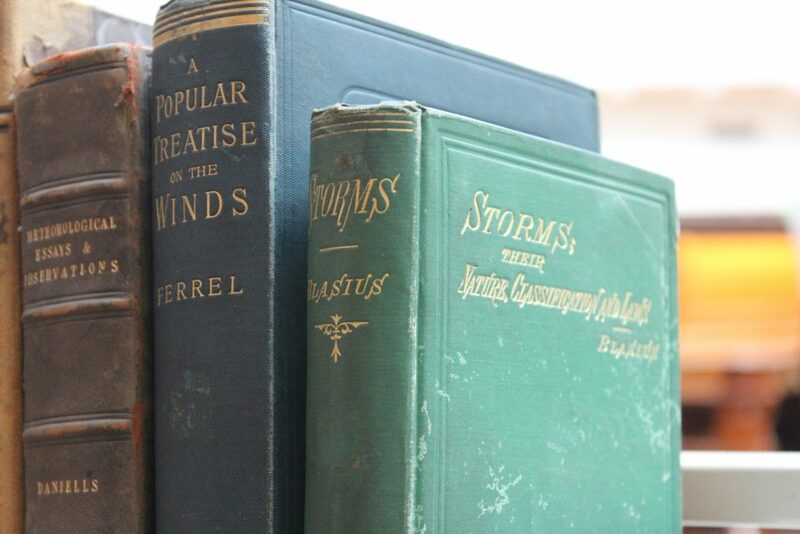 If you’ve ever wondered about the origin of weather forecasts or storm warnings, the answers can be found in our collection. It all starts here. Since today is World Meteorological Day, we thought it the perfect time to give you a brief sample of what our team has found. The theme of this year’s World Weather Day is clouds so let’s start there. They are subject to distinct modifications, produced by the general causes which effect all the variations of the Atmosphere : they are commonly as good visible indications of the operations of these causes as is the countenance of the state of a person’s mind or body. In other words, if you understand how and why the clouds are changing, you can understand how the atmosphere is changing. 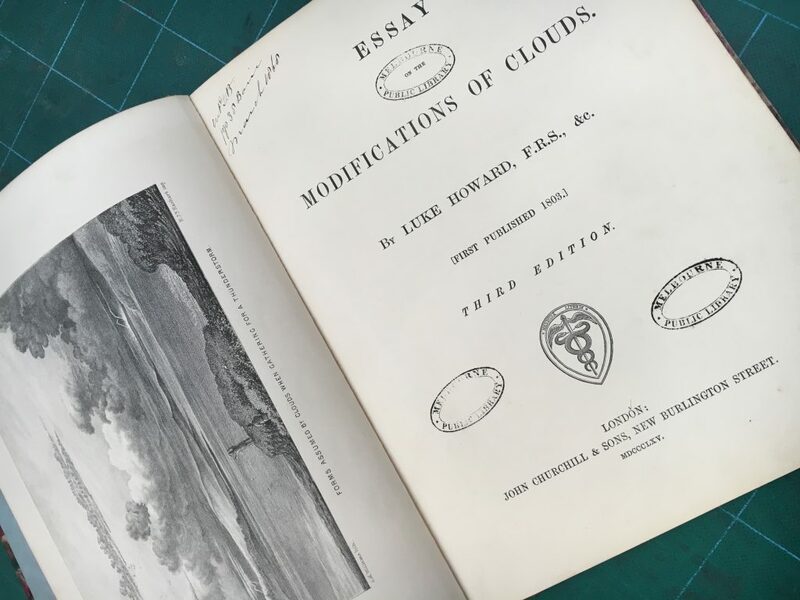 Howard then named what he thought to be the “three simple and distinct Modifications” of clouds—cirrus, cumulus and stratus—and four intermediate or compound modifications. These names are still used today. Howard’s work was so influential that Goethe wrote a series of poems dedicated to him. 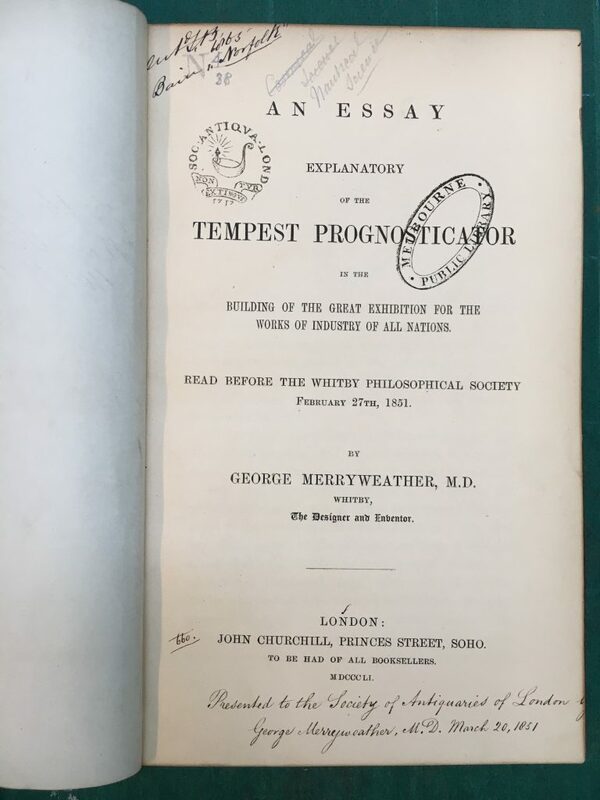 In 1851, George Merryweather read an essay to the Philosophical Society about his invention to predict upcoming storms: the tempest prognosticator, also known as the leech barometer. The tempest prognosticator contained twelve leeches in twelve glass jars. Arguing that animal instinct could predict (and respond to) storms before they arrive, Merryweather’s device involved the leeches climbing up the jars as a storm approached and dislodging a whalebone that, in turn, rung a bell. The more times the bell rung, the more likely a storm would occur. Merryweather lobbied the British government to use the prognosticator around the coast but they went with the work of Robert FitzRoy instead. Had Merryweather seen more success, our weather maps might have involved a lot more leeches today. Have you ever used the term “weather forecast”? You have Robert FitzRoy to thank for that: it was his invention. FitzRoy was a pioneering meteorologist (in addition to being the captain of the HMS Beagle during Charles Darwin’s journey around the world). He made accurate weather predictions and ran a new department in England’s Royal Society dedicated to the collection of weather data at sea. He set about making weather data more readily available to fisherman and people on shipping vessels. This led to the design and use of several different types of barometer. 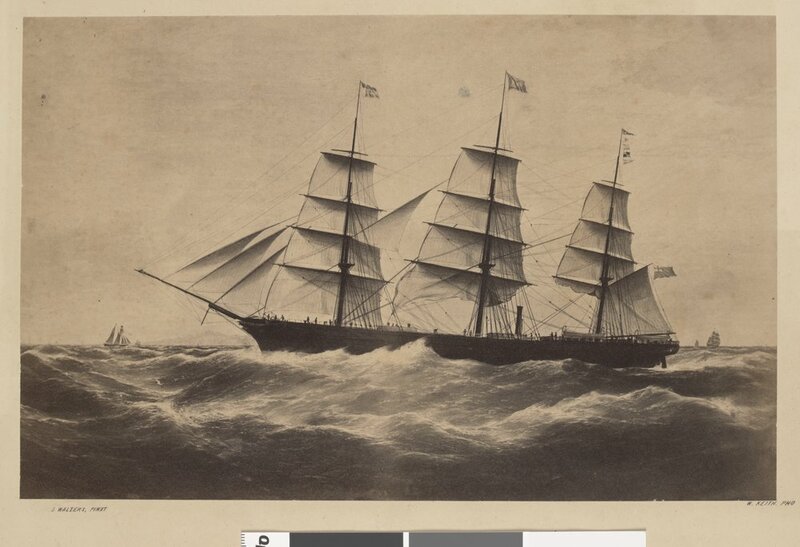 In 1859, a storm led to the sinking of a ship called the Royal Charter. Approximately 450 lives, in addition to a great deal of gold, were lost. This led FitzRoy to developing charts designed to predict storms. He referred to this as “forecasting the weather”. FitzRoy published The weather book: a manual of practical meteorology in 1863. It was a collection of observations, data and recommendations for future work and it was considered a sizeable step forward for scientific thought. 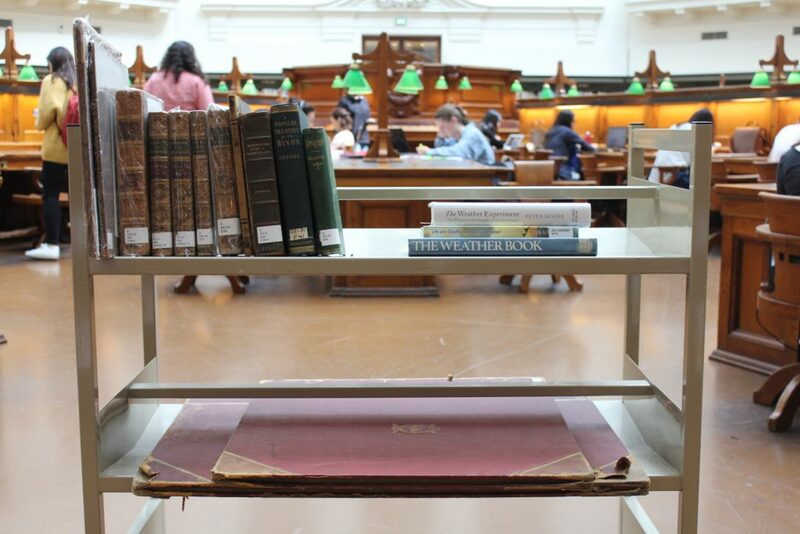 You’ll find a copy of The weather book in our Redmond Barry Reading Room and a great deal of FitzRoy’s papers and work in our collection. More great books on the weather from our collection. Thanks to our team here at the Library, you can now find the works of these pioneers into weather research (and more) in our catalogue. It’s fascinating to read about the people who devote so much time to what surrounds us every day and seems so common place that we don’t give it much thought. These sorts of books make us open our eyes and really look at the world. Thanks for highlighting them.